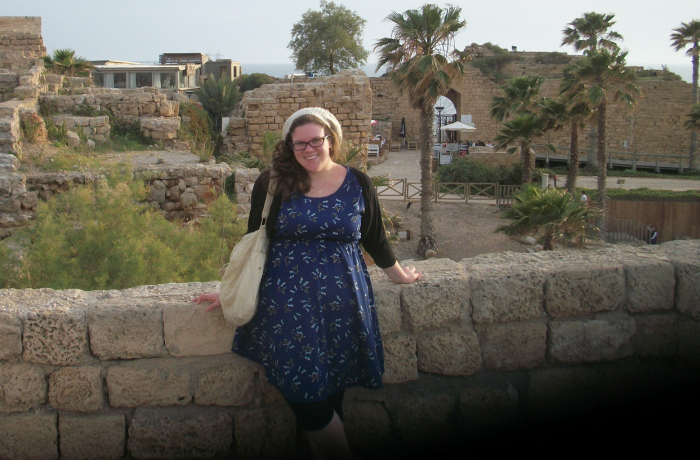 Home Blog Faces of Israel: Sydney T.
My current residence is in Rehovot, Israel. Originally I hail from California. After finishing my M.A. 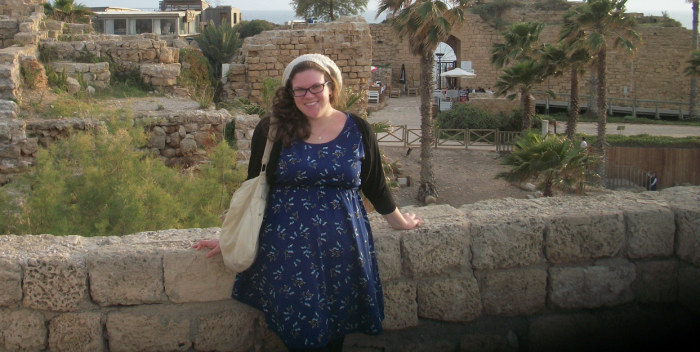 I came to Israel to study and volunteer for a year. Although I had never been, the moment I stepped off of the plane, I knew that I was home. My body could not be in a place that my heart was not, so I packed my bags and moved. I was and continue to be a secondary school teacher and non-profit worker. My absentee ballot for the June election was sent off in May and I’m looking forward to the next in November! The US relies on Israel and Israel relies on the US; it’s a mutualistic symbiotic relationship that should be recognized and upheld. Unfortunately, the connections between my two countries are faltering at a time when unity and strength is of the utmost importance. For how many centuries have people fought for the right to be heard? For how long did women remain chattel without a say? For those that did not have our liberties and to protect these freedoms for the future, I vote. When I finally get a yard, y’all are invited for a barbeque! Burritos and customer service are the two items that initially came to mind. In sunny areas, like my native California, solar panels should be a must! It gives me great pride to tout that the Israeli government supports green energy initiatives. Do you feel that the “Arab Spring” is more of a threat to Israel/US/Both/Neither ? The “Arab Spring” is both a threat and a promise to both Israel and the US. It is a threat because we knew what to expect from former dictators and with whom to reason. There is something to be said for professional leaders and a stable structure when it comes to politics. A promise for which I hope is that formerly oppressed voices will be heard. One positive outcome has been Egypt’s support of Israel in “Operation Protective Edge”. An unfortunate down-side to this is what we are seeing with ISIS. What should the America be doing regarding Israel’s war with Hamas? It is America’s duty to support fellow democracies, especially in an area as volatile as the Middle East. With fanaticism on the rise, it is in the US’s best interest to keep Israel as a friend. The security information Israel provides on active terrorist cells is essential to both countries’ national security. This is not their war to fight, but we are all together in regard to global terrorism. “Tustus”, meaning a Vespa-type scooter, is hands-down my favorite word. I’m a lover of good onomatopoeias.